Situated in the lower end of the Hunter Valley, Maitland is the perfect place to base yourself to explore the wider Hunter Region. The city is one of the oldest heritage centres in Australia and as such, holds ample history into the countryside. 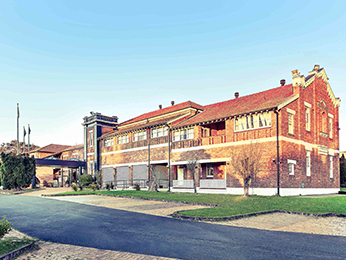 Popular attractions include Maitland Gaol, a facility that once held some of Australia’s most notorious criminals, and the Maitland Regional Art Gallery, showcasing works from both international and local artists. Regular festivals and expos take place during the year, such as the Maitland Taste Festival, Maitland’s Riverlights Multicultural Festival or the Maitland Aroma Coffee and Chocolate Festival. Feel welcome at one of the hotels offered by AccorHotels and our partners in Maitland. Discover our selection of luxury to budget hotels in Maitland for your next business trip, family holiday or weekend break.